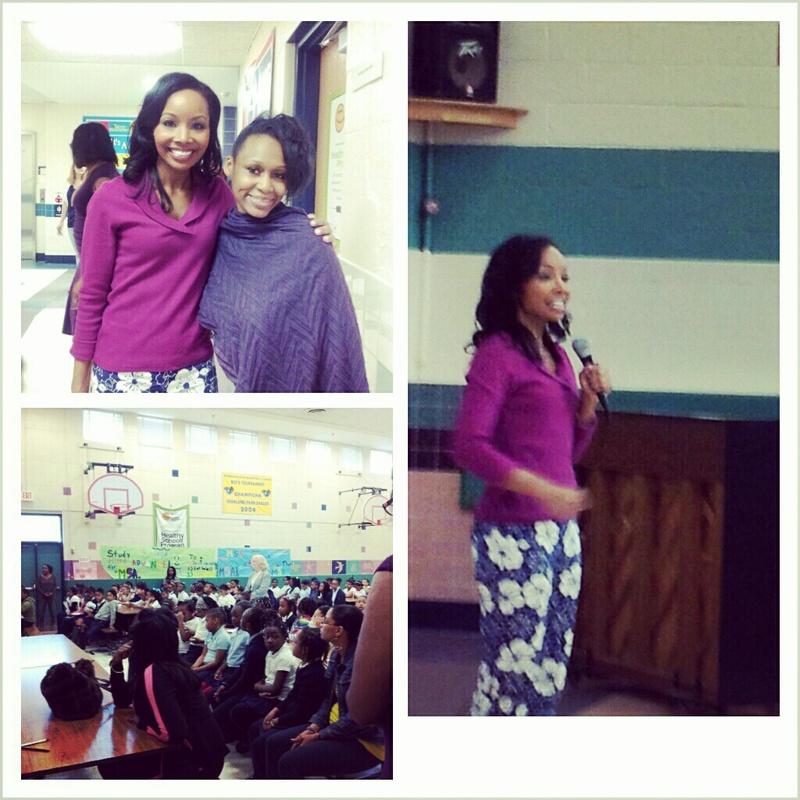 In recognition of Women's Month, local newscaster and anchor Cynee Simpson took her time to speak with elementary school girls at a school in Prince George's County about her career as an journalist. During her chat at Highland Park elementary school on Friday, March 15, Simpson spoke about how she got into the field of journalism. She also encouraged the children to succeed in whatever they do in life. She also warned the room full of impressionable young faces about the importance of not letting "haters" tell you that you can not fulfill your dreams. The words of that person sounds louder than someone that will tell you that you can do it, she said. Simpson also spoke about the highlights of her journalist experiences including interviewing media mogul Oprah Winfrey and attending entertainment events for Usher Raymond, Ludacris, Jermaine Dupri and more. She worked at some of the most prestigious red carpet events including the Oscars and has traveled the world. One of the students asked "who inspired her to become a journalist"? and Simpson stated her mother and famous uncle Donnie Simpson. What a surprise to me! Journalism runs in the family and Ms. Simpson is doing an excellent job at that. Inspiring young girls was the top priority at the women's month program and the young ladies really took to her inspirational words: reading, writing, and focusing on what you do today and showing on what you will do tomorrow. Consistency, hard work, & dedication will take you to the top in whatever you want to do in life, Simpson impressed upon the girls. Overall, it was a superb presentation! Good job!